The 21st USHA Hall of Fame & Women’s Classic featured women’s open singles with top women players from Arizona, Texas, California, New York and Canada, as well as men’s open singles, junior singles and various age and skill level singles and doubles divisions. 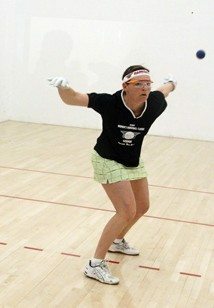 Top-seeded Jennifer Schmitt cruised to the final of the women’s open singles with victories over Arizona State’s Benette Valdillez and Canada’s Leslie Amminson, while California’s Ashley Moler defeated Texas’ Amy Gross and New York’s Shirley Chen to meet Schmitt in the final. Schmitt and Moler played a close first game that featured several momentum shifts and a number of grueling rallies. Schmitt outlasted Moler in game one and coasted in game two. “There were a lot of really long rallies in a close first game,” revealed WPH Development Coordinator and Hall of Fame & Women’s Classic tournament director Matt Krueger. “Jennifer pulled away in game two to clinch the title.” Schmitt emerged, 21-18, 21-7. Chen defeated Amminson for third place in two close games between two of the game’s promising women’s stars. Sean Lenning defeated Daniel Perez to win the open singles and slammed the doubles with partner Carlos Espinoza, defeating Vern Roberts and Vinny Natale. 16-year old Michael Gaulton defeated Lupe Marquez in a tiebreaker to win the A singles, Alaska’s Charles Lindemuth won the Golden Masters singles and Tucson’s Art Benitez held off a strong field to win the Super Masters singles. In the age division doubles play, WPH board member Doug Clark and partner Vince San Angelo won the Legends Doubles and Frank Hernandez and Guillermo Pallares claimed the Masters Doubles. Junior WPH was well represented in the junior and B divisions, with Junior WPH 13-and-under stars Carlos Villegas advancing to the finals to play Ayden Brule (tbd) and Westley Harden finishing fourth, losing to Tucson’s Ariel Chang in the third place playoff. WPH Team Member Matt Payne advanced to the finals of the B singles in his first tournament, falling to Arizona State’s Pahul Singh. 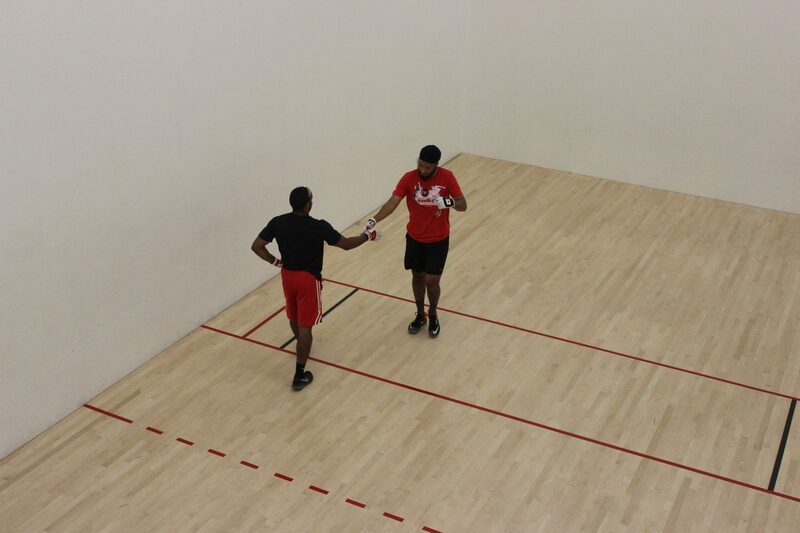 To follow all of the results from the event, go to http://www.r2sports.com/tourney/home.asp?TID=13837. For more information on the USHA and their upcoming initiatives and tournaments, go to ushandball.org.